Zoya Museum was opened in October 2009 and is the younger sister of the Zoya Gallery, located in Bratislava, which was founded in 2005. 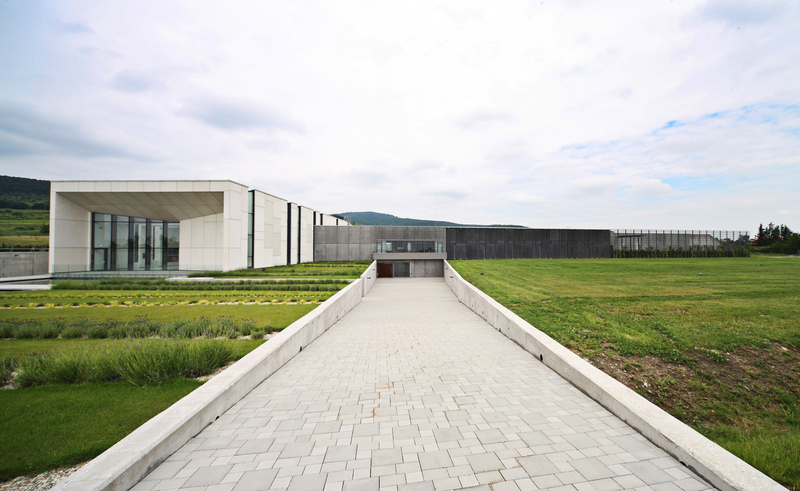 The museum is located in the beautiful, wine-growing region in the foothills of Little Carpathians near Bratislava. 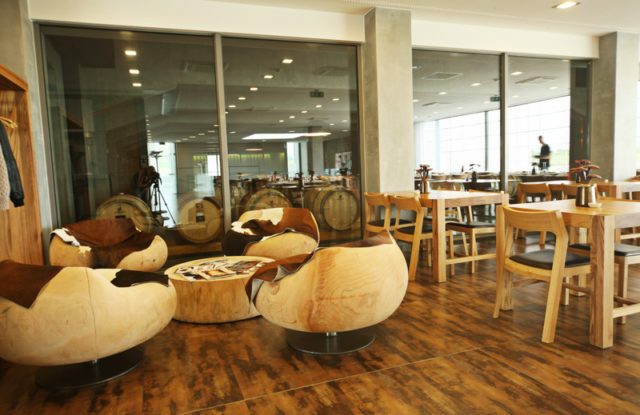 It is part of a newly built modern winery, ELESKO Wine Park, whose architecture was awarded Building of the Year 2010. The modern winery complex owned by the ELESKO Company is a unique construction that dominates the slope of the vineyards in Modra. Not just a winery, the building also conceals a unique modern art gallery, with Andy Warhol right there at the entrance to welcome you. When visiting the Zoya Museum you can stay in the ELESKO Apartments, which is the perfect accommodation for a small group (for 10 people max.). The apartments include a luxurious common room with fireplace, bathroom, sauna, TV, free Wi-Fi, Jacuzzi, a fitness centre and a terrace. For a larger group it would be recommended to stay at Zocova chata, an amazing 4-star hotel located 3 kilometres from the Zoya Museum. The hotel has accommodation for 150 guests and also offers conference rooms and lounges, with the premises able to host up to 200 guests and equipped with modern AV equipment, making it very easy to organise any kind of high-level formal event. A stylish restaurant and a Wellness & Spa centre is also to be found in this lovely hotel, all set in the untouched nature of Little Carpathians. Zoya Museum premises are available to rent and a number of social events have been held there, such as corporate parties, congresses, conferences, brunches, corporate breakfasts, weddings and all kinds of celebrations. Zoya Museum is such a diverse concept that it offers many opportunities for any kind of event within its 1,300 square metres – its complexity is definitely one of the special features of the venue, as are the excellent acoustics and other high level services that are available. The quality of the venue has attracted brands such as BMW, Epson, Profesia, Summit Motors – Ford, Jungheinrich, Forbes, Sheron and others to host various events there. Directly in the ELESKO Wine Park of which the Zoya Museum is a part, there is the ELESKO Restaurant, where one can savour traditional Slovak local dishes prepared to a high-quality, such as tartares, strong Slovak soups and traditional dumplings, and a special sheep cheese (called ‘bryndza’), with among other restaurant delicacies some excellent meat dishes, such as beef or deer steak, are also on offer. Decide on a wine tasting in one of the ELESKO Wine Park cellars, which is considered to be the most modern viniculture in Europe. Their wine master will explain and introduce you to the secrets of wine. An unusual teambuilding activity that is actually a wine tour with a detailed commentary on the technologies employed. 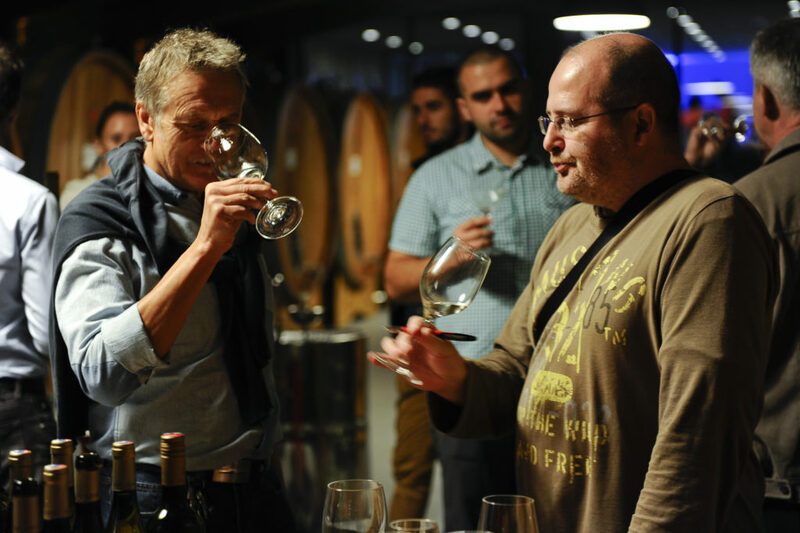 During this tour participants can taste the wine directly from the barrels or tanks, while the master winemaker explains the basics of Cuvée production (originally a French word and one that refers to a wine created by mixing two or more wines). Along the way, participants can try at least six samples of red wine with a complete analysis. At the end, a certificate for wine blending is issued to each attendee. The museum is thematically dedicated to the collection and exhibition of Slovak art of the second half of the 20th century as well as on art from abroad. The museum’s temporary exhibitions shows the work of sculptors and painters, with artists such as Michal Uher, Jozef Kostka, Peter Bartoš, Rudolf Sikora, Stano Filko and others all showing. Exhibited works come from the portfolios of Zoya Gallery and Zoya Museum, as well as in cooperation with other private collectors and public institutions such as the Slovak National Gallery, SOGA Auction House and others. Another special local story is linked with a symbol of the winery – ELESKO stone. The monumental travertine sculpture ELESKO named after a medieval Slovak guarding castle serves as the symbol and guardian of the vineyards in the Small Carpathian and Tokaj region. Their blessed vineyards are guarded and protected by the stone in the shape of the God’s eye. The ELESKO stone can be found right in the vineyards of the Little Carpathians near the Vištuk village (near Modra). Zoya Museum is located in ELESKO Wine Park in Modra, which is located 30 kilometres (or 45 minutes’ drive) from Bratislava city centre. Aside from the wine tasting in cellars all over the city of Modra, there is the possibility to visit the Ceramics Museum, the monument of Ludovit Stur and a sightseeing tower called Velka Homola. Furthermore, there is the ‘Three Riders’ rock in the Small Carpathian Mountains that inspired the wine technologists in the creation of one of the most successful wine cuvées of ELESKO production. There is also a wonderful castle, called Red Stone, just a 15-minutes drive away and that is definitely worth checking out. 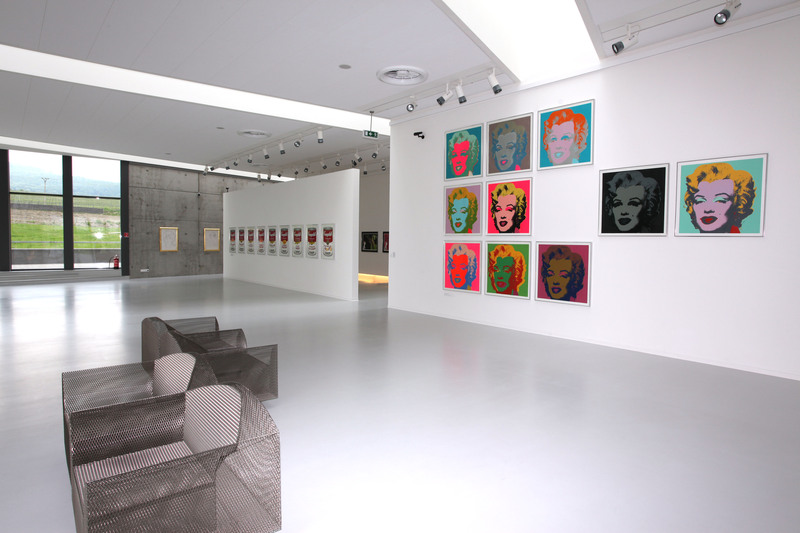 The most important part of the Zoya Museum portfolio consists of a collection of works by Andy Warhol that forms the basis of the permanent exhibition. There is also a fun fact that you might not know about – if you want to take a picture with a real life size Andy Warhol, you can do it here! You can even drink a glass of wine with him, although he mightn’t be too talkative. That aside, however, in ELESKO Wine Park pretty much everything else is possible!